Today starts a new challenge at Cards und More! As my DT inspiration card for this challenge, I created a card with the awesome Stay Cool set by Waffle Flower. I love this set, especially the big bear in the swimming trunks! 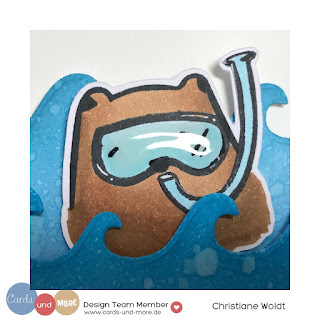 For the front of the card, I created a slider to make the bear with its diving goggles plunge into the water. Can you see the gloss on the diving goggles? I added some Glossy accents to achieve this look. 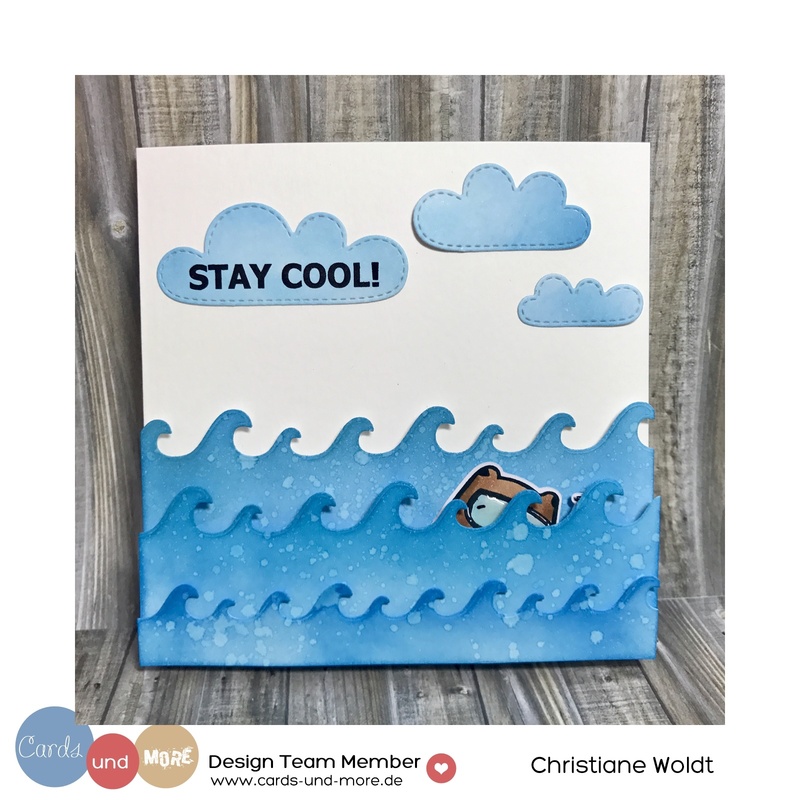 For the inside of the card, I created a beach scene with all the other images of the Stay Cool stamp set. I had so much fun coloring them! I put the little bird with his swimming ring onto an action wobble to give the impression as if it was rocking on the waves. 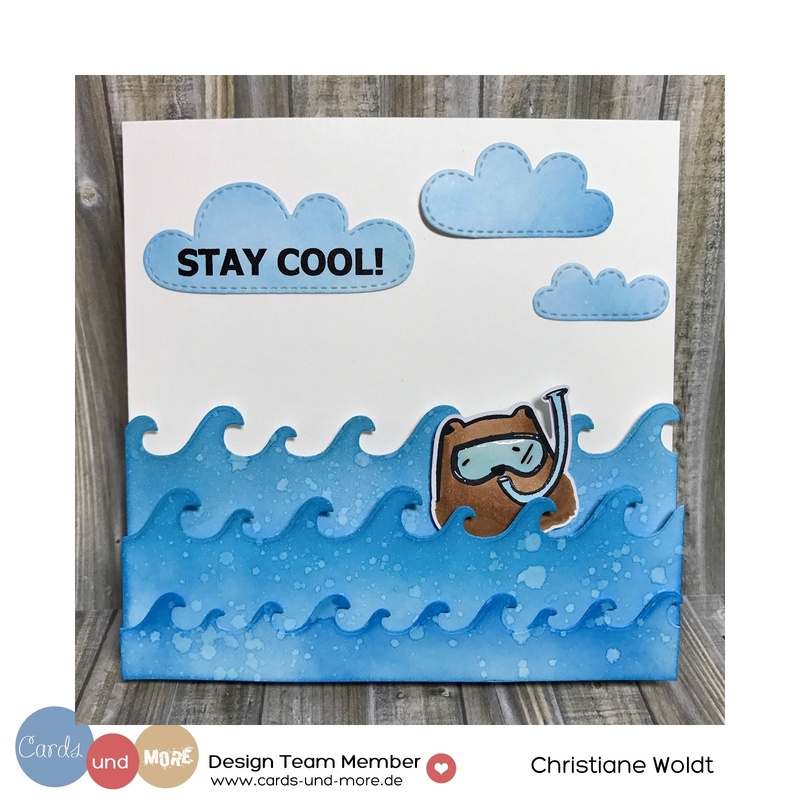 I hope you like the card and take part in the challenge! 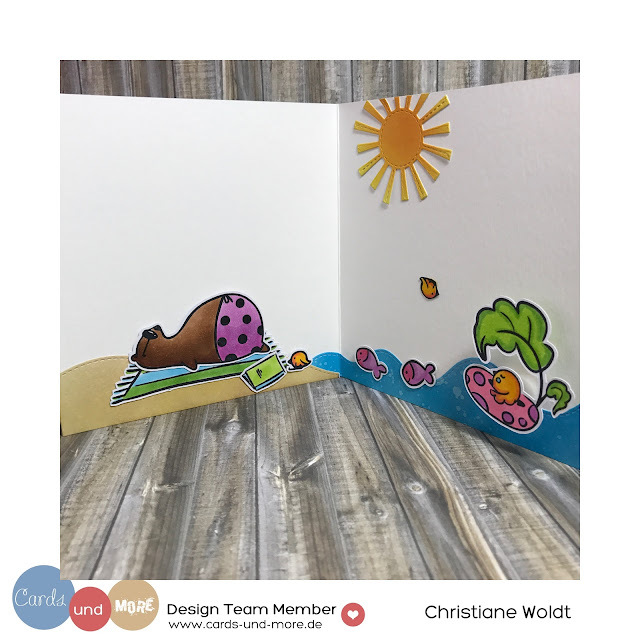 Additional: Lawn Fawn - custom craft dies "Spring Showers". My Favorite Things Dienamics "Malking Waves"/"Stitches Whimsical Waves"/"Stitched Snow Drifts". Copic Markers.